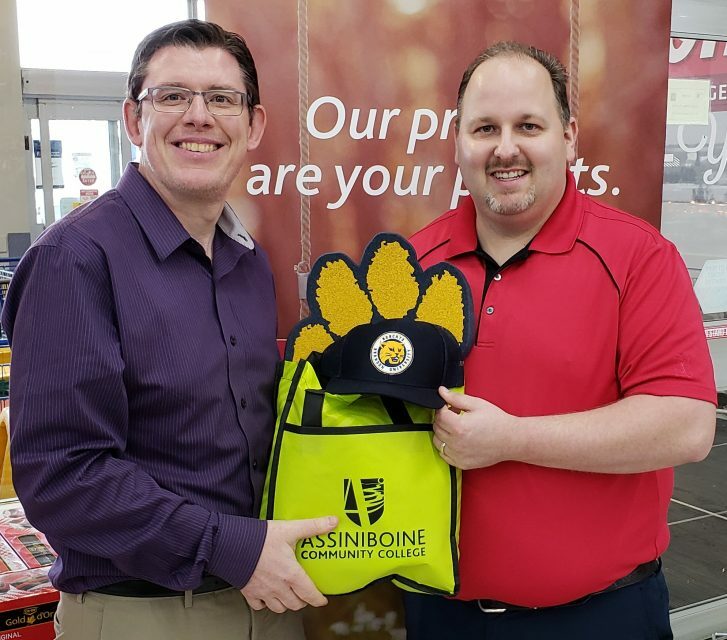 Assiniboine Community College and Brandon University are saying a fond “see you next year” to the friendly yellow “Big Hello” campaign. The bright signs on boulevards, lawns and windows greeted students in Brandon all September long as they returned to campus for the fall semester. Each is being delivered a ‘Paw Pack’ of prizes from Assiniboine and BU. 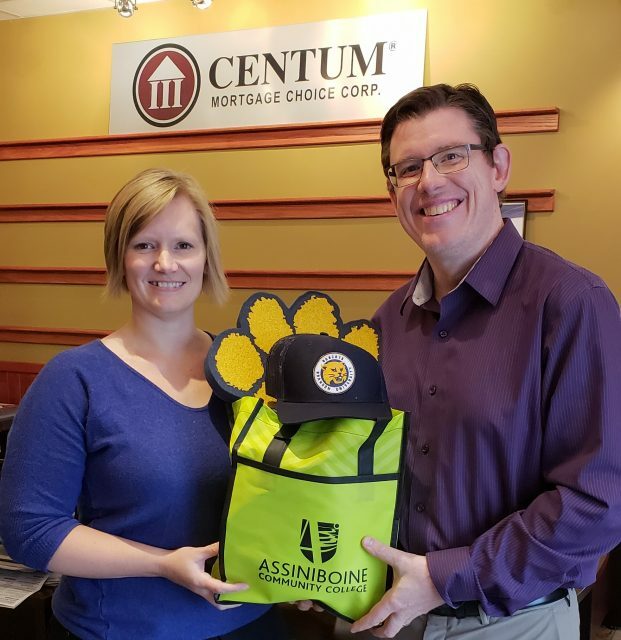 Everyone who participated in the campaign has earned a “Big Thanks” from both BU and Assiniboine, as well as the thousands of students who benefit from the tremendous community support that the month-long campaign demonstrated. People who still have signs can return them to either institution, can store them until next September, or can recycle them. 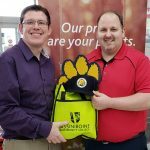 Rob Henderson of Brandon University, left, presents a prize pack to Dan Lange of Heritage Co-op. 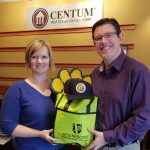 Rob Henderson, right, of Brandon University presents a prize pack to Naomi Hamm of Centum Mortgage Choice.